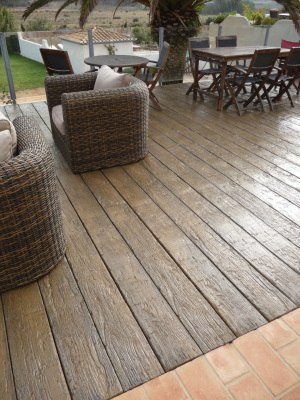 We have a large quantity of varied decking products to choose from. This can range from softwood like the classic Pine which we usually see with a grooved top to aid with drainage or then hardwood like Cedar and Teak which really have that natural beautiful wood look. 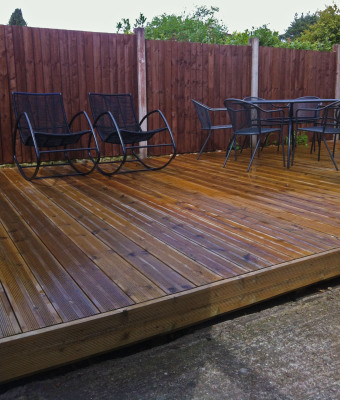 Wood decks will have to be oiled and then maintained every few years so to keep the wood in its best condition. 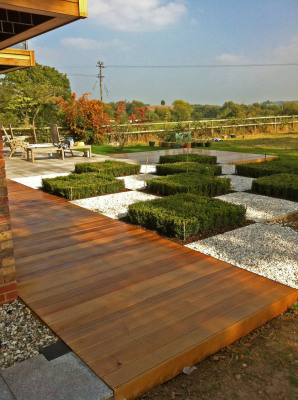 We will always offer sound advice on how to maintain your deck and what products we feel are best for your chosen timber. 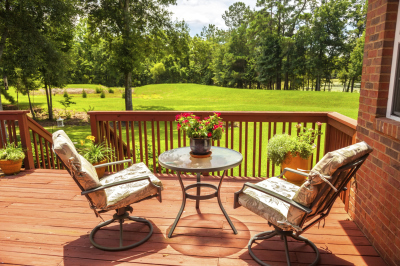 Call or Click for a quote on our real wood decks. 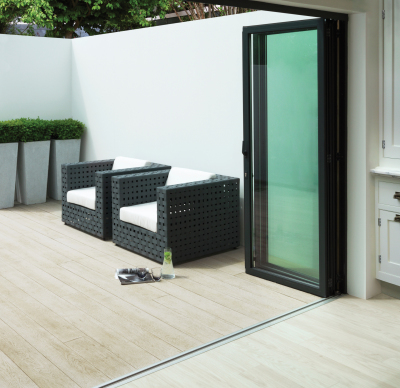 The composite range of decking has vastly improved over the past few years with British companies like 'Millboard' leading the way in the market producing some of the most outstanding pieces of decking out there. 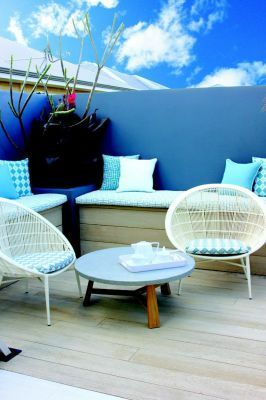 Their replicated distressed timber looking boards are so realistic looking that you really do not lose any of the beauty of an organic style in your outdoor space. 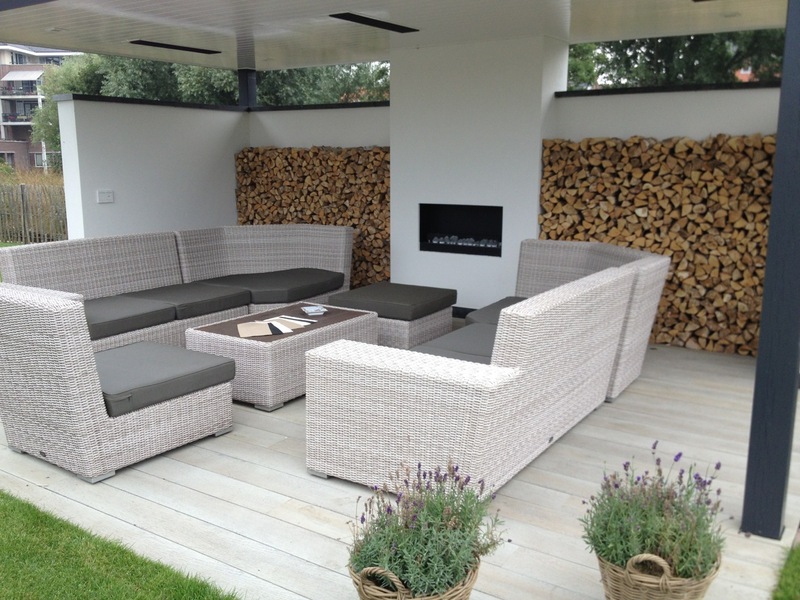 Its main advantage over wood is that once installed it is completely maintenance free. Once it has been installed you don’t have to worry about sanding it down for a re-oiling every few years. 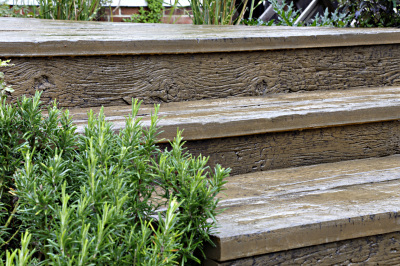 Millboard is made from polyurethane resin, sustainable minerals and fibres- plus a resilient Lastane® coating for superior anti-slip properties. When installed correctly it has a 25 year guarantee for residential properties. 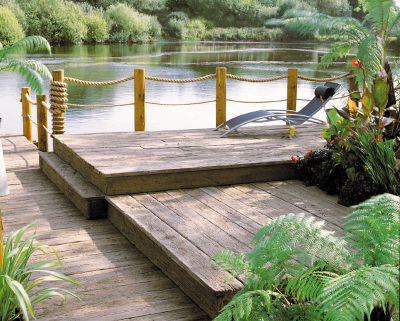 It really is the very best of composite decking and better yet.... it’s British. 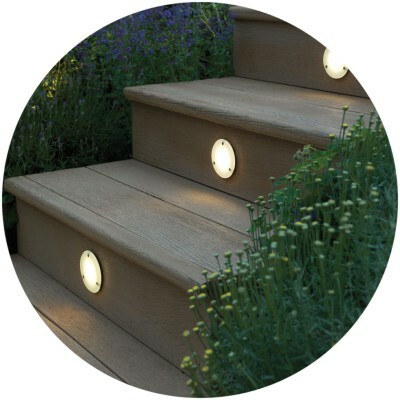 We have a huge number of suppliers that we use with a vast amount of different lighting options for your decking area. 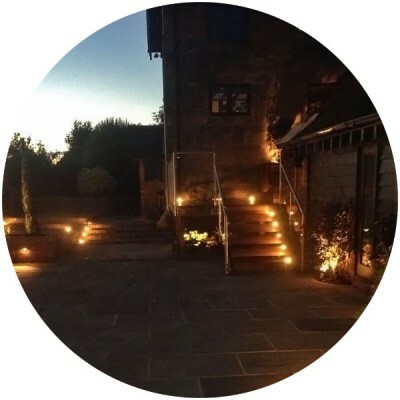 Our fully insured and qualified team of electricians will carry out the installation once you have chosen your lights and provide you with a safe outdoor lighting system.